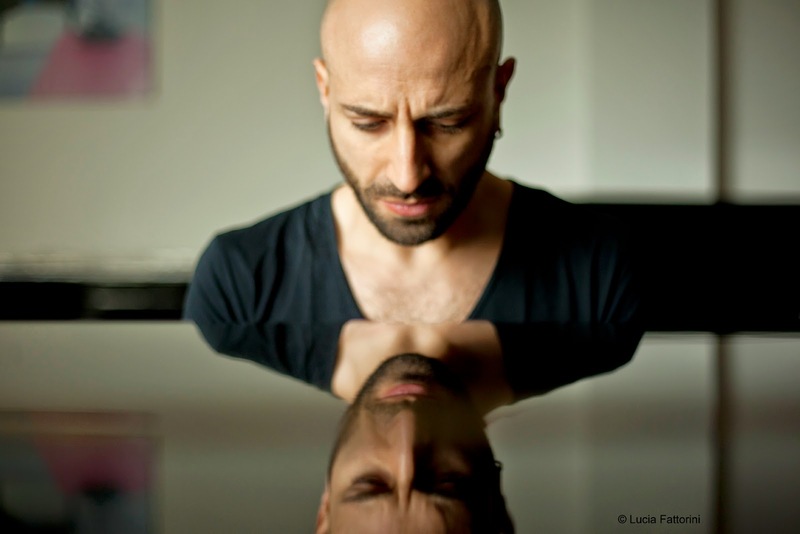 Born in Italy in 1978, having studied classical piano since his childhood period (started at the age of 3), interested in jazz after 18 and released two mainstream-jazz-influenced albums in 2005 and 2008, Kekko Fornarelli (born Francesco Fornarelli) decided to give a beneficial break for three years and renewed the projection of jazz in his mind during this hatch-like period. This efficient period ended with the release of Room of Mirrors in 2011 from the label Auand. He answered many questions with this album. Questions belonged to himself and he asked them to the mirrors. 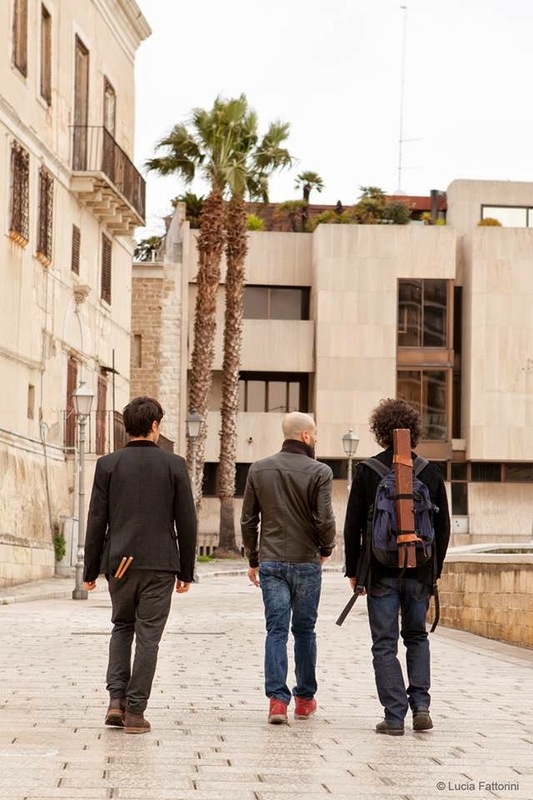 Having gathered many good reactions and creating the opportunity for the trio to tour in several countries, this new era produced a really impressive piano trio work Outrush lately in 2014. Outrush is a very different album than Room of Mirrors not only with its line up but also with its overall sound definition. Although it seems that both albums seems to consist of music composed based on life experiences, the evolution and ongoing change of Kekko Fornarelli is obvious considering these two albums. In my humble opinion, Outrush is a kind of beginning of a new story. A unique story that will be soon heard by many piano jazz listeners interested in European sound. 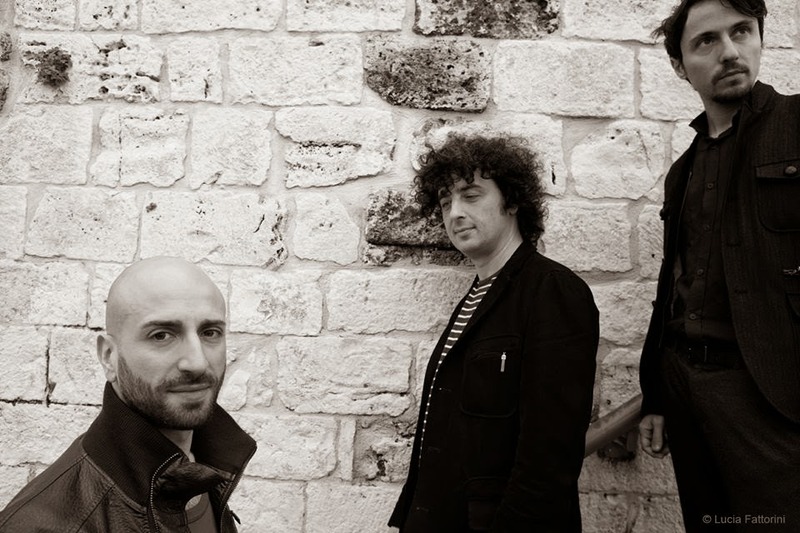 The trio is Kekko Fornarelli on piano and synthesizers; Giorgio Vendola on double bass and Dario Congedo on drums. Guest appearance Roberto Cherillo is singing his own lyrics in the piece Don't Hide. 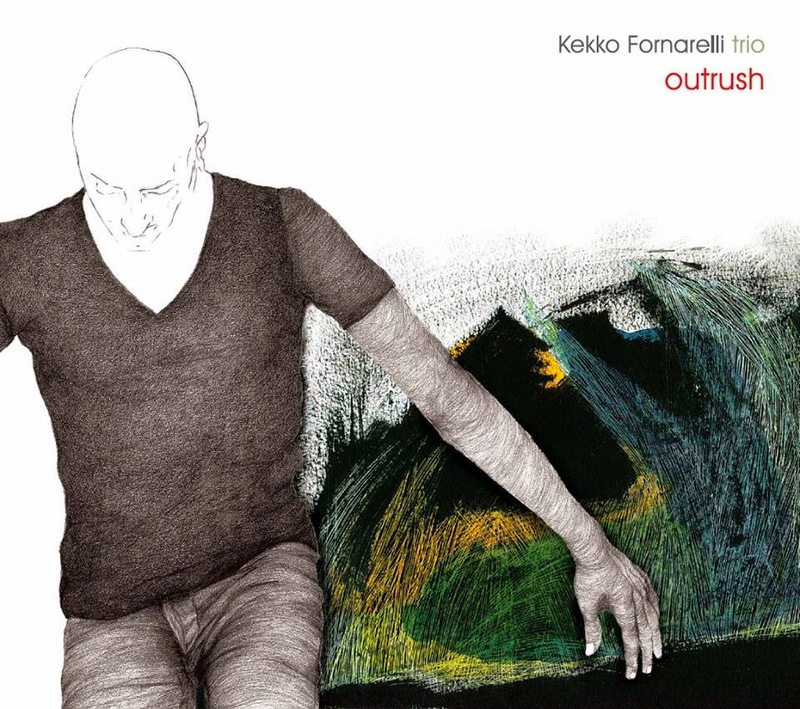 All pieces of Outrush are composed by Kekko Fornarelli except The Big Bang Theory whose compositions belongs to Kekko Fornarelli, Luca Alemanno and Dario Congedo. Recorded, mastered and mixed by Tommy Cavalieri in Sorisso Studios in Bari Italy, the album is released from Abeat Records. The most remarkable aspect of Outrush is the catchy melodies used in compositions going on playing in your mind even after the first listening session. Although the themes are easy to hear and follow, the musical framing they are located on is complex and interesting enough. We can easily classify the genre as European Jazz, specify the style as contemporary piano trio jazz and mention classical, pop and a little bit rock music as influences. Another important feature of this work is the progressive structure of the pieces, which creates many surprising stages during the performances. 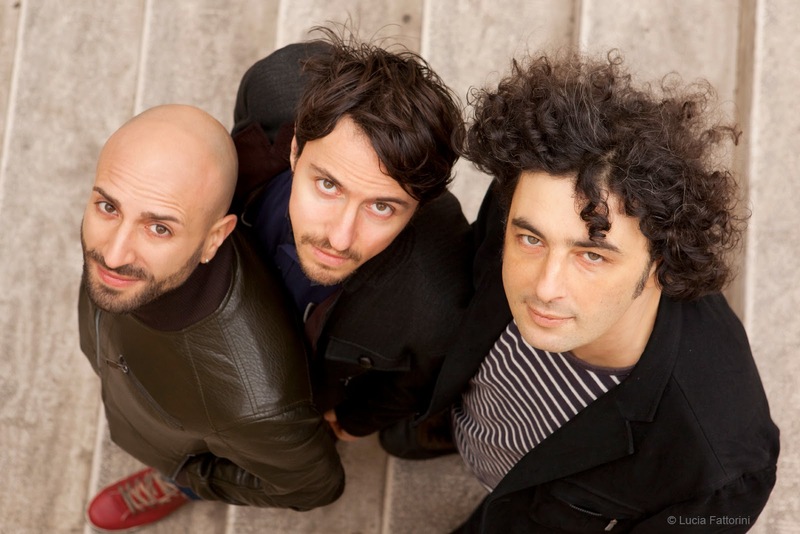 In my opinion, the tension control of a jazz trio is an absolute must for their success and without doubt Kekko Fornarelli Trio achieved that thanks to these progressive structures and the band member's organic harmony. The energetic and groovy contribution of drummer Dario Congedo, the qualified bass solos given by Giorgio Vendola and characteristic piano tone of Kekko Fornarelli as well as his minimal synthesizer touches are highlights of this elegant album. The sound design (recording, mixing and mastering) is really successful. The distribution of the musicians on the stage, the weighting for each instrument and clarity in sound are all at top quality. The record includes organic sounds of the instruments. It seems that no filtering is applied and no artificial and unenthusiastic outputs are created. The physical design of the CD is made by Marina Damato and it is based on nice artworks created by Orietta Fineo. The organic style in the cover is reflecting the musical style of the album very well. The pencil drawing of Kekko Fornarelli is on the background of a pastel world. The Big Bang Theory starts with an interesting and well designed UPO (undefined played object), which is I think produced by a bow sliding on a double bass following a Fender Rhodes touch. The continuous structure of the signal becomes more unstable and mystic as it goes on dissolving. This indefinite introduction gives just little clues with some 'short short long' bass riffs added by a loop machine to the background which will be a prominent character throughout the piece. One hand of the piano (creating the base for the other hand) comes to the stage with a drum rhythm carrying many rests and with the first increase in the rhythm we start to listen to both hands together. These hands play a cool melody whose influences may be including some popular or rock music. Just before the second minute and second theme, the bow and synthesizer signals the next corner in the tension versus time graphic of the piece, which is drawn mostly by drummer's crash driven movements. Interestingly, piano follows a darker theme in this part. What comes up goes low and this energetic part results in an interesting calmness of the trio. Afterwards the piano concentrates on long notes played in a lyric style and this carries itself to a solo. This section feels like the scene after the big bang explosion. Everything distributes in space with ordinary physical rules of macro world. However, the tension is increased again mostly by piano followed by the others. In this new hopeful era, where new and exciting things emerge, the harmony of the trio is so good and the resultant sound is so organic that the listener can easily think that their collaboration has been going on for a long time. Once again, just before the sixth minute we hear the signals closing a part and opening the repetition of second part. 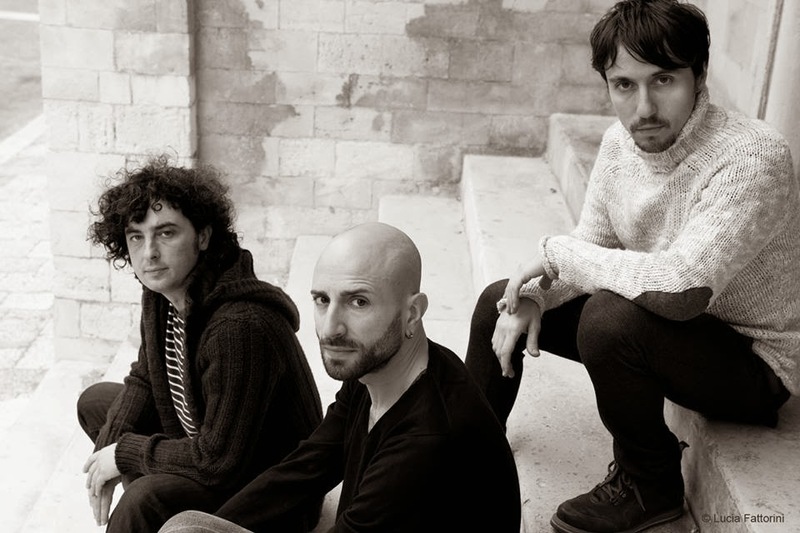 The beginning of this last part is dominated by the crash of the drummer again and in the end the trio tries to finish the piece at the place where they start: Some naive piano touches are accompanied by some minimal drum beats and simple bass riffs. The piece leaves the audience as if the rise and falls will last forever. We can say that it's a successful choice to put such an energetic and qualified performance as the first number. We are on a train in Drawing Motion. The 'falling water'-like feeling of the piece -created by some circular piano chords and melancholic bow on Giorgio Vondola's bass- turns into a sad -but not blue- train on lonely railways for me when I hear the ultra fast but granular snare rhythms. The main body is given with a different drum section and piano starts to tell a different story in here with some rise&falls and long rests. The main theme for the piano is based on a catchy melody which I think is influenced by some classical music roots. The band is trying to decide which way to go when suddenly piano starts to play an impressive almost-solo part accumulating energy with each note. This is successfully and harmonically followed by the others. In between all these hand-shaking sessions, we can easily hear some mainstream jazz contributions from the piano. The first part is repeated. The double bass sounds more like a cello with its bow on mostly high registers in my opinion. I had to say that the main melody and its designed evolution with changes in rhythm are really impressive. Once again the tension goes high and comes to low and the finishing is very similar to beginning: calm, dignified and as naive as a train in an open green area. The unexpected rests in the piano creates an impressive atmosphere just before the end. Weeping Souls introduces itself by some dialogue between keys and bass. On entering the stage, the drummer Dario Congedo decides on the way the piece will follow and an explosion creates an empty space for a wonderful double bass solo which is accompanied by some hard strokes on snares and some inanimate tones from piano, some of which -I think- is created by holding the strings of the piano. Giorgio Vondola ends its solo by connecting himself to a groovy main theme. Interestingly, Kekko Fornarelli prefers to perform with a distorted sound from the piano for a while after this amazing solo part. Later on, the trio gives the most important performance of the whole album after the 7th minute. It starts right after when everything seems to have finished. We first feel the crazy eyes of the piano and then the drummer initializes an energetic journey over the drum set. I can visualize in my mind his octopus-like image moving continuously from right to left and then back again. Even in this speed, the granularity of the touch and clearness of the tone is impressive. I wish -just as a simple listener- this improvisation-smelling part could go on forever. What Kept You So Late starts with computerized beats which are followed by some basic piano riffs of one hand and a 'my personal statement'-like main theme of the other one. The title is inspired from Samuel Beckett's 'Waiting for Godot' as far as we learn from extended liner notes. The synthesizer used in between and the choice for rhythm equipment are excellent. The harmony between band members and the organic texture of the overall sound are impressive. The transitions between main parts and the very well designed synthesizer contribution in various instants are highlights of the composition and the performance. The main character of this piece is piano, which is chosen to be distorted from time to time. Like A Driftwood is almost at the place where the piece Reasons left us. A dark and melancholic piano tone, which makes the intro as solo, is again accompanied by a slow tempo drum and a basic bass line. A ballad like main theme is crying between many dark layers and a little hope is trying to smile. One hand of the piano is symmetric with the bass and I think the other hand is the storyteller. It is a story of an old and wise tree according to the extended liner notes again. Especially the concentration of each musician on their instruments and the success in recording the tails and details of every sound are impressive properties of this piece. An impressive male vocal meets us in Don't Hide starting from the first second. Actually, Roberto Cherillo and Kekko Fornarelli have been performing together in the duo project Shine for about a year now and in this piece, Roberto accompanies the whole trio with his own lyrics and almost-theatrical performance. The first words are accompanied just by piano and a dark fate-like feeling is supplied by double bass' surprising signals coming from lower octaves. There are certainly two different characters in the piece. The first character is dark and anxious. The other one is hopeful. Roberto Cherillo presents these two characters with two different vocal style. The first voice is dark and flat which tries to use lower octaves. The other one is high-pitch and soulful. We learn from extended liner notes that these characters are super ego and the imaginary/wished/utopian one. The title track Outrush is presented in the end. This is like presenting the main idea of the whole album in the end. It's certainly an uptempo piece (regardless of its beats per minute) carrying mixed emotions. You can feel the hopeful part in this bohemian melancholy which started with some untidy synthesizer outputs resolved with a European piano trio sound. This first energetic part is rested for a while with a naive bass solo which is accompanied by some minimal piano and then a similar solo is performed by the piano. 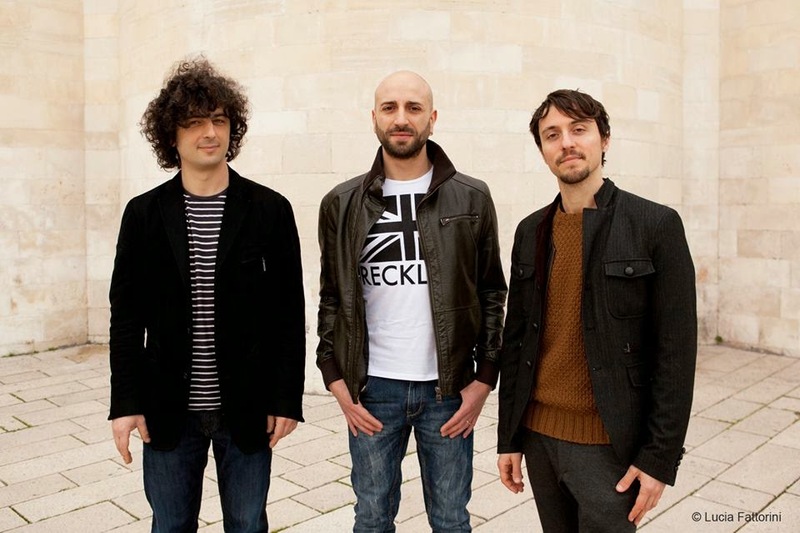 Meanwhile, the drummer Dario Congedo does not give up holding the overall tension of the piece at high levels and becomes the fuel of this long and difficult travel or 'escape'. The main theme is so energetic that it can sometimes gives a feeling to the listener to even headbang. I totally agree on what Paolo Fresu said for Kekko Fornarelli and would like to finish my review with these words: "As long as there are musicians as open minded as Kekko Fornarelli, jazz will carry on being the World's music. Kekko’s intimacy is made of rich melodies and chord progressions which evoke some delicate forms of modern jazz, but are translated by that particular touch which makes him one of the most interesting young pianist of the moment."